Whether they’re located in homes or businesses, tilt and turn windows offer versatility and security without compromising aesthetics. Built from rugged materials, these windows will withstand harsh weather conditions and remain looking in pristine condition for years to come. Tilt and turn windows are dual-functioning, as they tilt inward or swing open as needed. When you simply want to enjoy a nice breeze, tilt the windows slightly to allow for good air flow. Doing so is more secure than raising a traditional window since intruders cannot enter through the small space that’s left when windows are tilted. This can provide you with peace of mind in the event you forget to close the window or want to sleep with it open overnight. The fact that windows swing open makes them an ideal safety feature, as they can be used to create a fire escape. This could be especially important for older homes or businesses that may not be up to date with current fire codes. 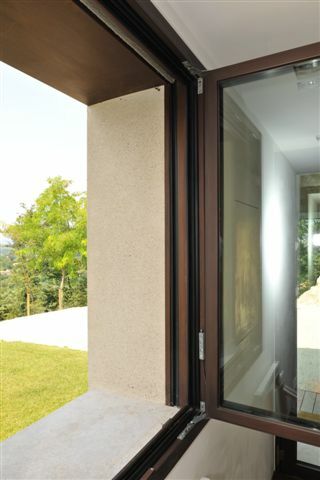 Furthermore, one of most vital features of this particular window is that it locks securely when not in use which prevents possible intruders from operating it from the outside. With tilt and turn windows, annoying cleaning and routine maintenance become a thing of the past. In fact, tilt and turn windows are a breeze to clean. Even when they are located on an upper floor, the ability for the window to swing inward provides superior cleaning and maintenance control. Many models contain a powder-coated finish that is designed to last for years so they never need to be repainted. In addition, they’ll also resist temperature changes without cracking, fading or peeling. Tilt and turn windows offer many unique advantages that make them a better investments, than other options, in the long run. Contact us today to find out more about how these windows could benefit your home or office.